Seattle CRMUG meeting is featuring the Power Platform - Feb 13th! 1. Seattle CRMUG meeting is featuring the Power Platform - Feb 13th! Ask any of our attendees--our meetings ROCK! Join 40 - 60 of your fellow Dynamics 365/CRM users for a day of learning, tons of solution sharing, and some fun (not to mention a tasty lunch). We are typically joined by Microsoft team members who provide immediate answers and resources. 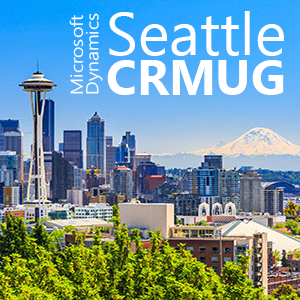 The Seattle Chapter of CRMUG is hosting an App-In-A-Day featuring the Power Platform next month at Microsoft's Technology Center in Bellevue! Although this will be strongly correlated to how the Power Platform relates to D365, we want to welcome our friends in the other User Groups who may find this a helpful seminar. PowerApps: A software as a service application platform that enables power users in line of business roles to easily build and deploy custom business apps. You will learn how to build Canvas and Model-driven style of apps. Common Data Service (CDS): Make it easier to bring your data together and quickly create powerful apps using a compliant and scalable data service and app platform that's integrated into PowerApps. Power BI: Self-service business intelligence capabilities, where end users can create reports and dashboards by themselves, without having to depend on information technology staff or database administrators. Feel free to register yourself and others. Our meetings are always free and open to everyone.